Just completed “Time in a Bottle” with an appearance by Nog. We knew early on when the Krenim didn’t make an appearance during Delta Rising that Cryptic had something interesting planned. ** Spoiler Free review ** The mission is surprisingly short, in terms of activities and goals Although we do get Herald combat in space and on the ground, the value in the episode is in the exposition between a large group of Iconians. Without going into details, it pretty much lays out out the ‘next steps’ in terms of the war. Overall the mission was extremely easy, and having Nog provide some interesting exposition of his own brought back a lot of memories of DS9. And I seriously want to buy the Staff of the Grand Nagus. As for the rewards you get several interesting pieces – the first is a new duty officer. 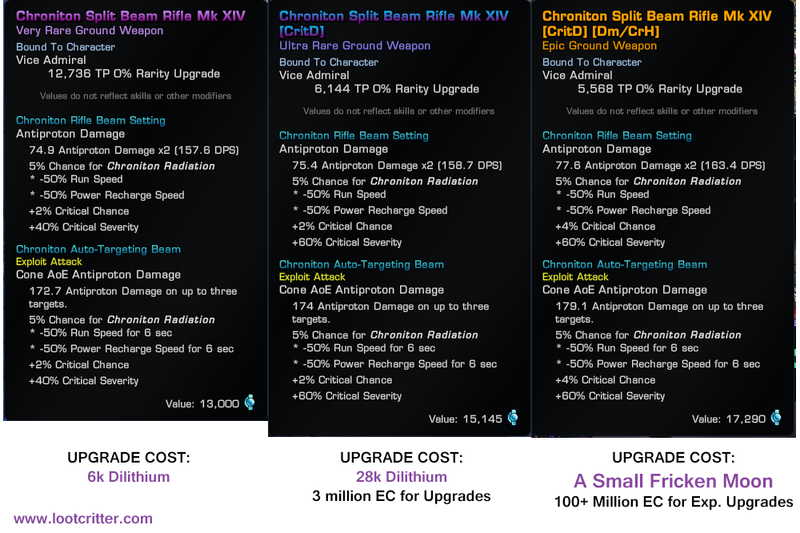 Interesting ability to generate Latinum. Have yet to add him to my ground doff group, but hey? 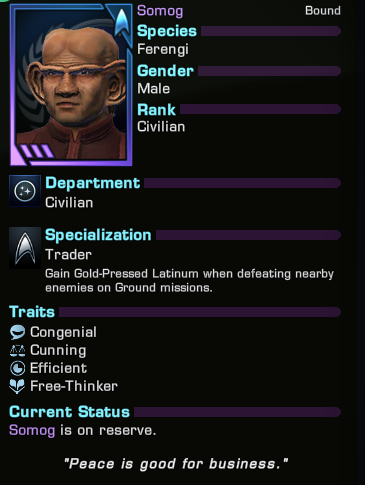 Who doesn’t want more Latinum? What sort of experience are you seeing with this weapon? After my first visit – after soaking in the exposition – you’re right it would be nice to skip it on repeated runs. I’m finding it useful, although I’ve become decent enough that ground is actually fun.